Are you the type of person who is constantly aware of their carbon footprint? Stephen Troese is, which is why he created this blog. In society, there is a misnomer that the individual can’t make a difference when it comes to the environment. Stephen Troese Jr. is here to tell you that this is just plain wrong. While he will discuss many ways why throughout this blog, here are a few things to keep in mind. 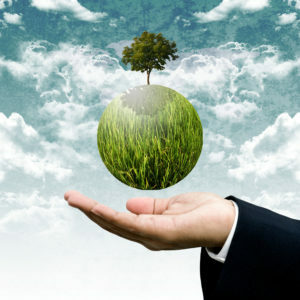 On a day-to-day basis, there are many things you can do to make a significant impact on the environment. First, consider the appliances that are in your home. Are they energy-efficient? If not, and you have the means to do so, you should consider replacing them for more energy-efficient models. At the very least, you can unplug your appliances when you don’t use them, which will reduce your energy use. If you are not motivated by lowering your footprint, these acts will help you lower your energy bill. As will getting solar panels, but that will depend on your budget and whether or not your house gets a lot of direct sunlight. Stephen Troese Jr. also says that you should consider what you eat. We all know that there is a big problem with factory farming. Factory farming uses up so many resources and it increases greenhouse gas emissions. While you don’t have to become a vegetarian or vegan to make an impact, you can choose more plant-based foods to reject that industry. If at all possible, eat local as produce, meat, and other foods often travel thousands of miles before they reach the supermarket. Finally, consider how much you waste. For example, choosing to hold on to clothes or buying used clothes will have a significant impact on the environment. If you find that you’re wasting a lot of food, consider composting it and using that for your garden. By the way, Stephen Troese Jr. says you should have your own garden as this is the most sustainable way to get your fruits and veggies. And, obviously, if you can use public transportation or carpool, this will reduce your carbon footprint as well. Stephen Troese hopes you come back to learn more about ways you can protect the environment.